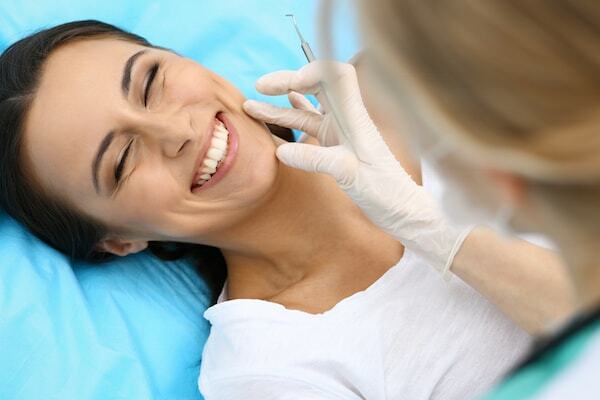 Cosmetic dentistry is a type of dentistry that is focused on making the teeth look better. 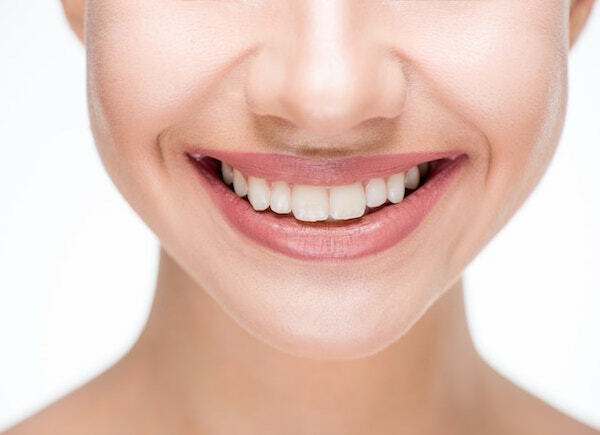 Cosmetic dentistry can include a number of procedures that whiten the teeth, improve the look of cracked or chipped teeth and also improve the appearance of the gums. In addition, they can often make the teeth easier to maintain or clean. Many patients turn to cosmetic dentistry to improve the look of their teeth and restore their smile. The smile is one of the first things that others notice when they meet a person for the first time. A good smile says a lot about a person and how they feel around others. Because of chipped teeth, a “gummy smile” or other dental issues, many people are afraid to smile or are just unwilling to show their teeth to others. A healthy mouth, maintained by good oral hygiene, helps to keep a person in good overall health. Let’s take a look at some of the most popular cosmetic dentistry treatments that help a person maintain a happy and healthy mouth. Teeth Whitening – There are a number of teeth whitening options that can be used by patients to brighten their teeth. Some of the teeth whitening treatments can be performed at home while others are performed in the office of a cosmetic dentist. 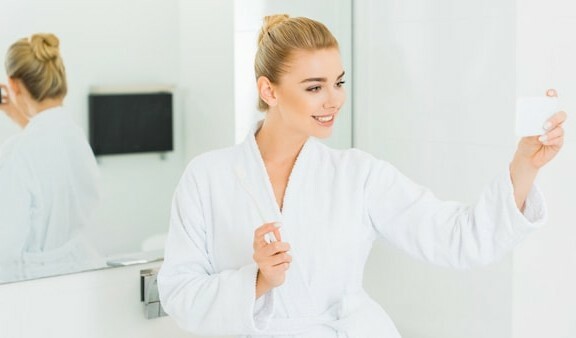 When it comes to teeth whitening at home, one of the easiest treatments is the use of whitening toothpaste that contains a mild abrasive for polishing the teeth as well as chemical agents such as hydrogen peroxide that help with stain removal. Whitening gels are applied directly to the teeth using a small brush. The abrasives used with a whitening gel are designed for use with sensitive teeth. Whitening strips are thin strips that are coated with a gel that is peroxide-based. They are applied twice a day for about 30 minutes each time for a period of two weeks. Dental trays are mouthpiece trays that can be used at home but the process is still supervised by a cosmetic dentist. A custom mouthpiece is created to fit the teeth of the patient while also maximizing the area of contact between the bleaching agent and the tooth. Dental trays can also be purchased over the counter but they are “one size fits all” and might not properly fir in the mouth of the patient. This can result in ineffective teeth bleaching and uneven whitening. Patients can travel to the office of a cosmetic dentist to have in-office bleaching performed on the teeth. 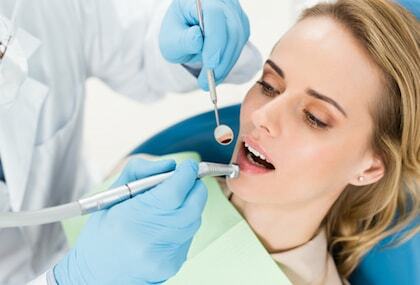 This method is popular because the process is supervised by the dentist. In addition, in-office bleaching can be performed in one visit as opposed to the multiple treatments that are required for teeth whitening methods performed at home. 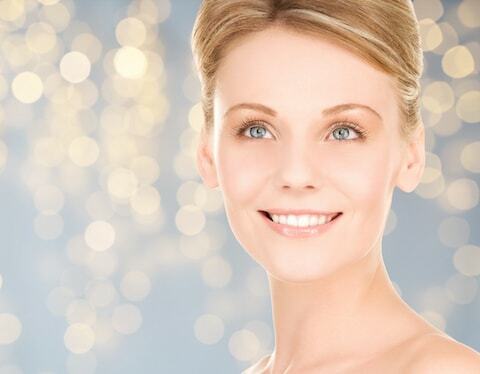 In-office bleaching can lighten the teeth by many shades in one cosmetic dentistry treatment. Porcelain Veneers – Dental veneers are custom-made tooth colored materials. They cover the front of the teeth and also change the shape, color and size of the teeth, Porcelain veneers can be placed directly onto the teeth when the cosmetic dentist directly applies and sculpts the veneer to the front part of the tooth. They can also be placed indirectly which means the dentist takes an impression of the tooth and then sends the impression to a lab for the porcelain veneer to be manufactured. A temporary veneer is placed on the tooth until the permanent one arrives from the lab. The dentist will remove some of the tooth structure before placing the veneer to make room for it on the tooth. Gummy Smile Treatment – Some patients feel like too much of their gum line shows when they smile. This is often referred to as a “gummy smile”. Botox can injected into the lips to weaken and/or paralyze the muscles of the upper lip to order to better control the amount of lip retraction experienced by a patient. In other words, more of the gums will be covered when a person speaks to, or smiles at, another person. This treatment is just a temporary solution and will need to be repeated on a regular basis. Lip repositioning involves a small incision being made along the gum tissue. The incision is made to separate the inside of the upper lip from the place where it meets the gum line which makes it easier to reposition. The procedure limits the amount of retracting performed by the lip so it will keep a lower position over the gums and show less of the gums when a person smiles. The results of lip repositioning are permanent. While the cosmetic dentistry treatments listed above are very popular, there are always new procedures and treatments being researched and tested on a regular basis. It remains to be seen if these procedures will remain popular in the future or if they will be replaced in popularity by newer cosmetic dentistry methods.